Save the Date for the Grand Opening of the Seven Corners Collaborative! There will be refreshments and appetizers. We’re excited to show you our new home. Come celebrate with us! Our current office, located on NE Oregon Street, will be closed on Thursday and Friday, June 14th and 15th for the move. We re-open our office at our new location on Monday, June 18th at 9AM. 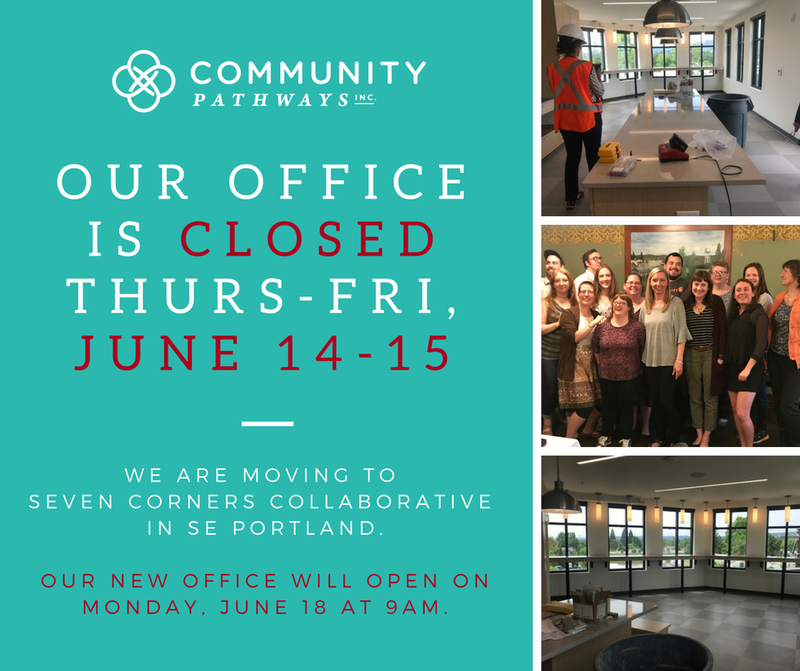 We are re-locating to Seven Corners Community Collaborative, a brand new community space and building we will be sharing with our partners: Community Vision, FACT Oregon, Oregon Council on Developmental Disabilities, and Nossa Familia Coffee. The building is universally accessible to individuals and families of all different abilities. It includes an Assistive Technology (AT) Lab. We are excited to be a part of this collaborative effort to create an accessible hub of support and resources for people who experience disability, their support networks, and providers living and working in the Portland Metro area. We look forward to seeing you there.